In December, my wonderful friend and fellow military significant other, Elizabeth, and I decided to sign up for our first full marathon. Both of us have run 5Ks and half marathons in the past, but we wanted to step it up one more notch. We have been training for two and a half months now, and the race is only about a month and a half away! However, we decided that we didn't want to run just for ourselves. We want to make a difference for others by running this race. 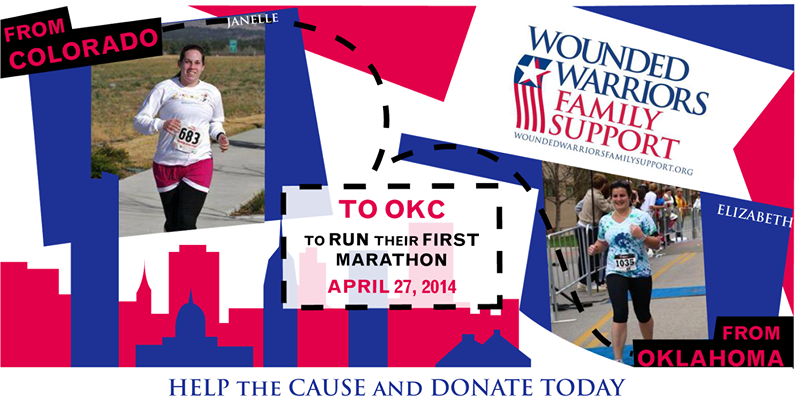 We are fundraising for the Wounded Warriors Family Support. Their mission is: to provide support to the families of those who have been wounded, injured or killed during combat operations. The families of our casualties suffer in many ways: some financially, some psychologically. We created a Facebook page in order for people to donate to this amazing cause. If you feel like helping out, we (and they) would appreciate it immensely. 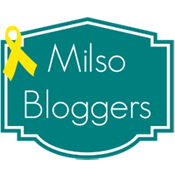 If you are unable to right now but would still like to help, please consider sharing our page via any social media outlet to encourage others to help in any way they can. 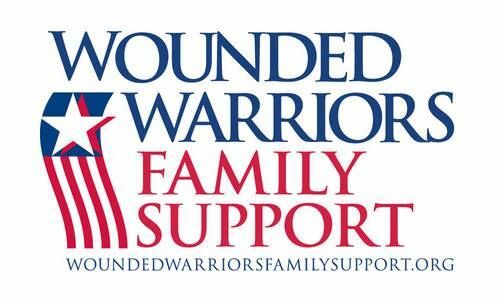 You can view our page BY CLICKING HERE or see the official Wounded Warriors Family Support website BY CLICKING HERE. Congrats on your first marathon...and for an amazing cause! I'm just starting my running training and hoping to squeeze in a half this year!